When I was a kid I used to go to my grandma’s house in the countryside and play in the garden till sunset. I was thrilled and amazed with all the plants and flowers. My desire to explore was endless. I’ve always remembered the smell of the nature and the sound of the bees and birds. 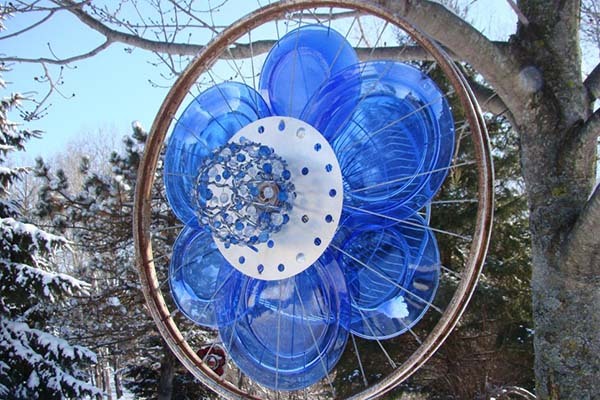 Here is a list of 15 great DIY recycled art projects for your garden that are easy to do and doesn’t require any special skills. You can get the full step by step instruction after each photo. Old paint cans transformed into decorative bird feeders! What a creative way to add functionality, fun, appeal, and interest to your garden. Plus, apart from decorating your outdoors, it’s an option to bring in a bit of nature into your yard. 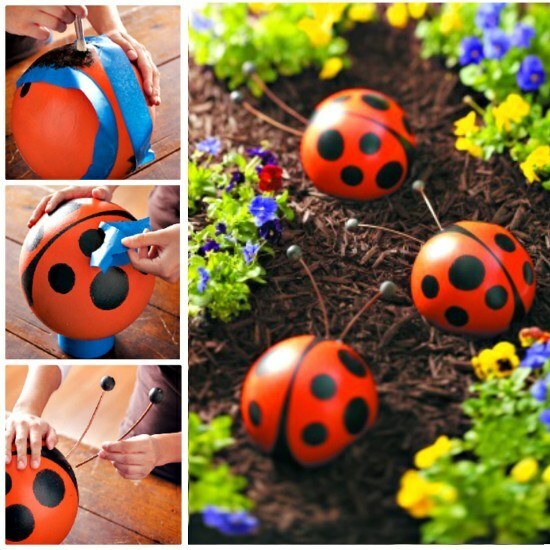 Make your garden the most beautiful in the neighborhood. You can transform it in a matter of minutes. 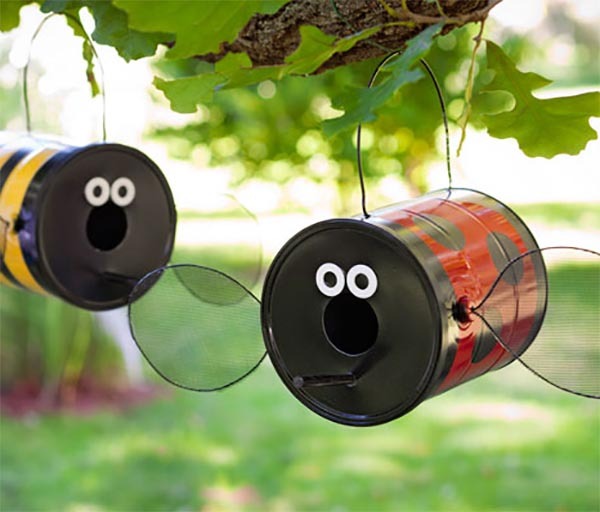 These cans can be easily attached to tree branches or fence. You can create butterflies , bees or other cute bugs and birds. You can also use any size of cans that you have – from soda, beer or foods. It’s up to you to create them. Use your creativity and fantasy to make the most beautiful pieces. A simple, affordable, and super easy-to-make DIY project with an impressive result! All you need is some colorful bowling balls and rods. It can’t be simpler as that! This is definitely a “from trash to treasure” project, don’t you think? This bowling ball garden sculpture is pure creativity! Undoubtedly, a unique garden feature! Love DIY projects? Need inspiration how to give new life to the old broken bicycles stored in the garage? 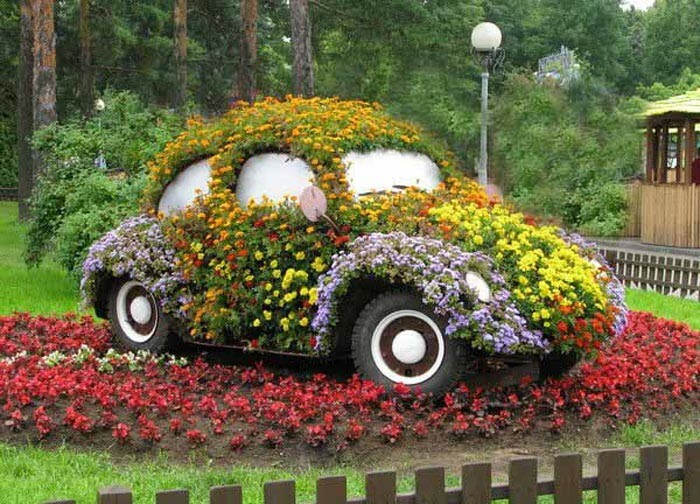 What about this eye-catching piece of garden art? 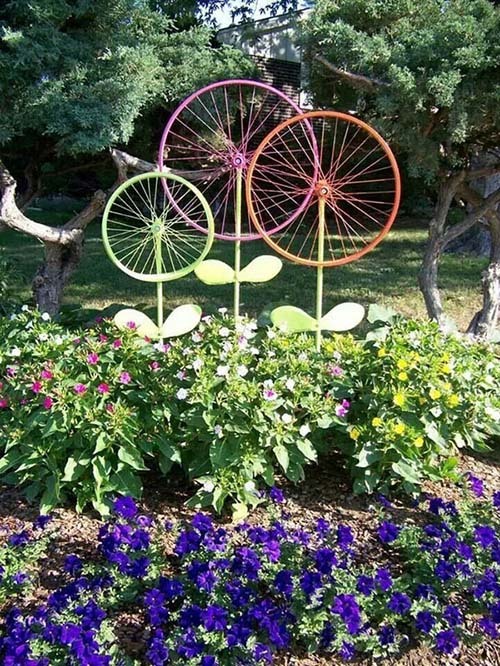 Spray-painted rims arranged as a garden art installation! Creative, isn’t it? Definitely an impressive way to add colors, height, visual interest, and personality to your outdoor space. 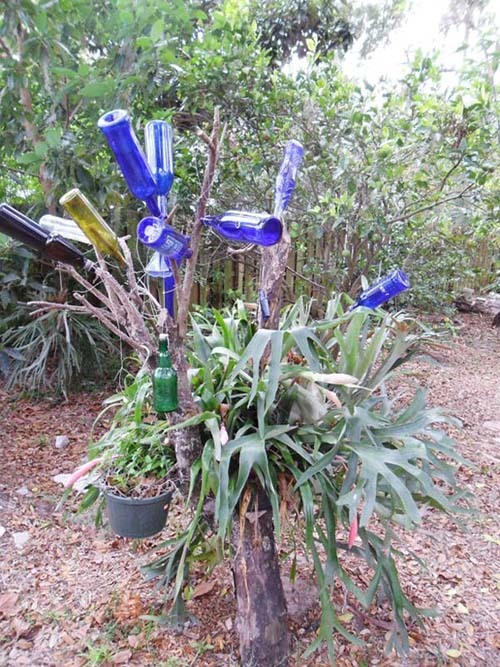 Try with this bottle tree. Find interestingly shaped bottles in vibrant colors and decorate a tree to create a garden statement! 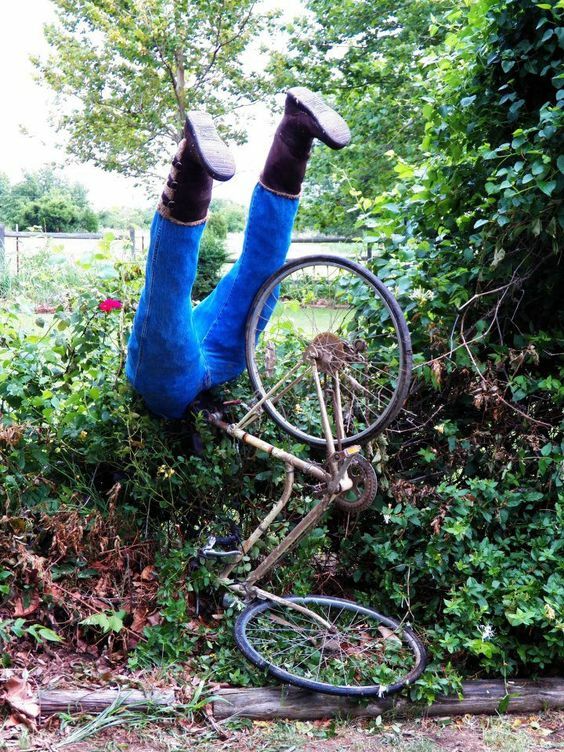 Another creative recycled garden art project with bicycle. Use some plastic plates colored in blue or color of your choice. Then some small decorative pieces and you have it. 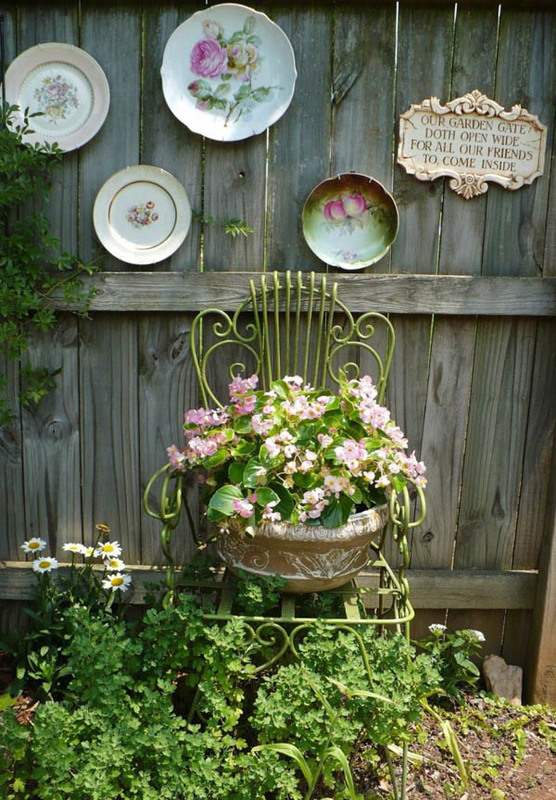 If you have some colorful chinaware with floral motives and an old iron chair you can create great piece of garden art. Do you like to turn your dull wood fence into a focal point of your garden? 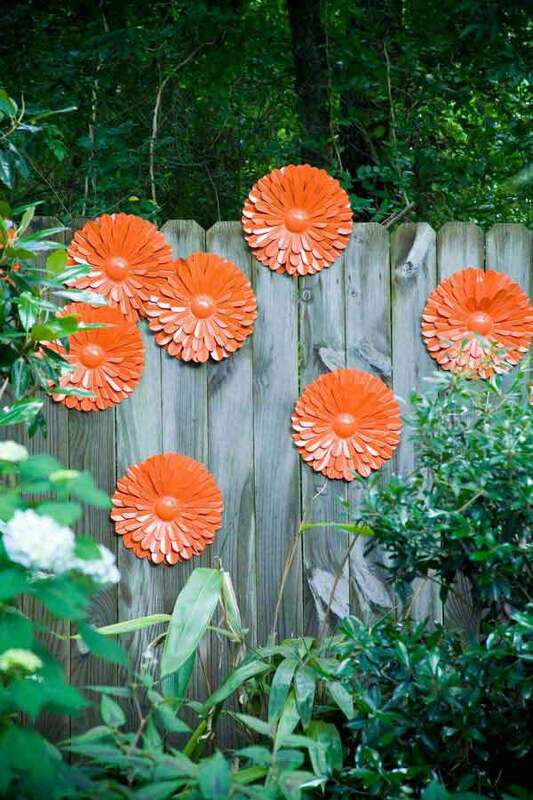 hese gorgeous brightly painted flowers offer a surefire way to do this! 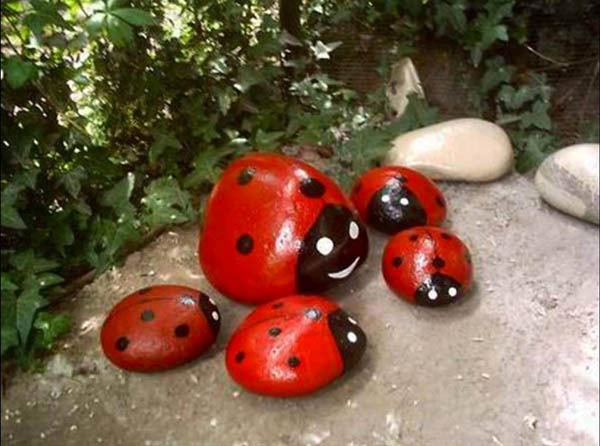 Rock painting offers countless options to add whimsy to your garden. Unleash your creativity and transform your outdoor space! No need of instructions here. Just get an old shoe, put some soil inside. Drill holes at the bottom to allow water and air to flow. 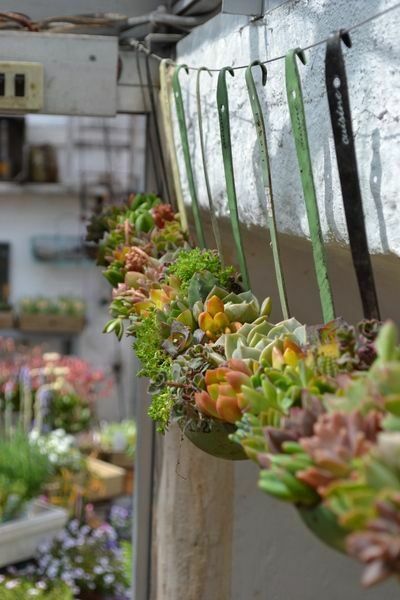 Plant some succulents or small flowers inside and you are ready. 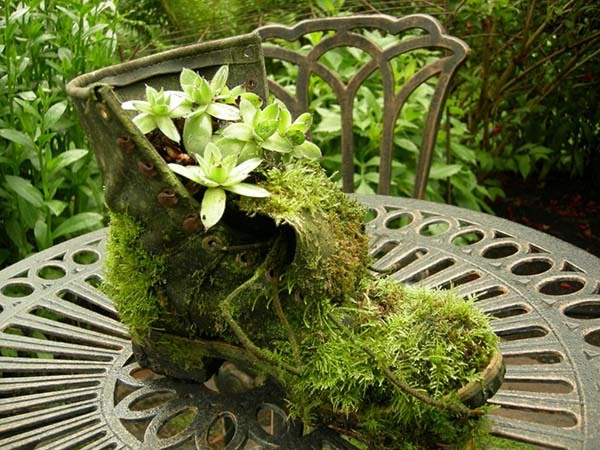 This recycled old boot even serves double – as a planter and a piece of garden art. 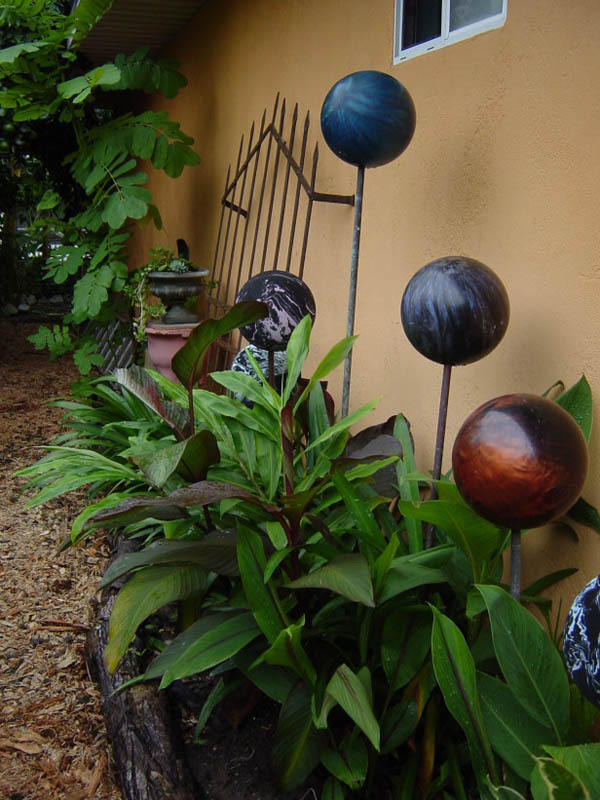 Want to create a truly unique piece of garden art? 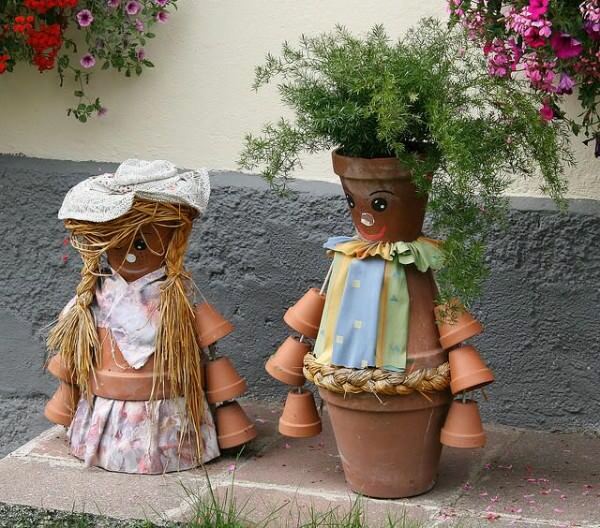 These clay pot people will add tons of charm and personality to your garden! Not everybody can reproduce this, unless you have the VW Beetle in your backyard. If you have one, put some flowers in it and around it and create this master art project. Someone here must have nice sense of humor. Great idea that I’ve never seen before. Great addition to any garden or lawn where you want to get a lot of smiles. Very creative. I love it. Get some old laddles and put succulents inside. It’s good to have plenty of them and arrange them on hanging wire and in line. 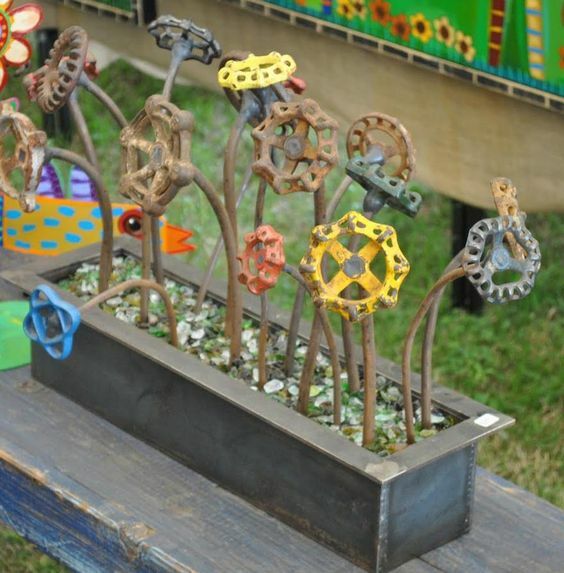 Get all the rusted and unused faucets and handles from your cellar or garage and create flowers with them.